Hahnville's Darryle Evans finds open field in last week's victory at West Jefferson. John Ehret has been a thorn in the side of the Hahnville Tigers over the past few seasons. In 2016, it was Ehret visiting Boutte for a second round playoff matchup and eliminating a Tigers team with high postseason hopes via a 35-28 victory. Then in Week 2 of last season, the Patriots hosted the Tigers for one of the wildest games of the prep slate last season, outlasting Hahnville in a 46-41 shootout that saw Ehret return two kicks for touchdowns and notch a 70-yard score on an offensive fumble recovery. “It’s been a bit of a rivalry, but really they’ve also been a bit of a nemesis for us,” said Hahnville coach Nick Saltaformaggio. The Tigers host the Patriots this week in a game that was scheduled to be played Friday night at 7 p.m. as of press time. However, weather this week related to Tropical Storm Gordon had the potential to shift the game to Saturday. 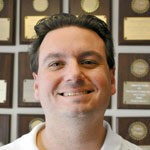 Whenever it ends up being played, Saltaformaggio said the game serves as a valuable measuring stick for his team at this point of the season. Ehret will go on to play Destrehan next week, just as was the case last season, giving the two teams a common opponent with the annual DHS/HHS showdown looming in Week 4. Saltaformaggio also called this week’s fare a “throwback” kind of matchup. Ehret head coach Marcus Scott, who was Destrehan’s defensive coordinator last season, is quite familiar with Hahnville and with Saltaformaggio — Scott is also the former head coach of West Jefferson and was there during Saltaformaggio’s run at East Jefferson. Scott has a team with big game experience at his disposal, led by a talented veteran quarterback in senior Travis Mumphrey. Mumphrey has some big play threats downfield and Saltaformaggio said his defense must be vigilant of staying within their scheme. Any spell of undisciplined play can be victimized by Mumphrey’s scrambling ability and big arm. “We’ve gotta understand that you can’t come out of coverages on a scramble play, because you’re not gonna come up 25 yards and stop him,” Saltaformaggio said. “And if you try, he’s going deep. We’re gonna have to do a good job with our inside second level drop because if we get too wide, he’ll tuck and run for big numbers. Ehret also has a pair of Division I commitments in the defensive front seven, inside linebacker Donte Starks and defensive end Earl Barquet. 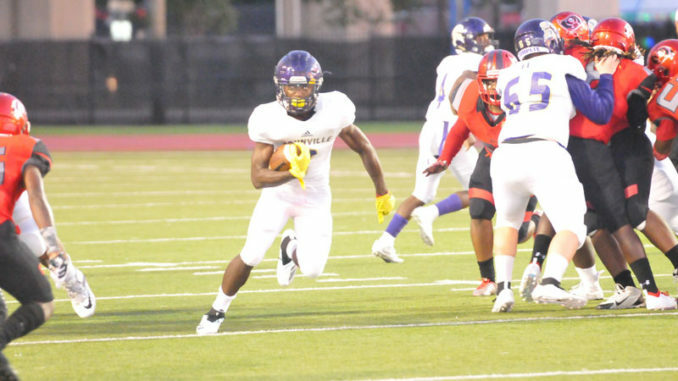 HAHNVILLE 45, WEST JEFFERSON 0 — It wasn’t about eligibility hearings, suspensions or controversy Friday night when Hahnville took the field at Hoss Memstas Stadium in Harvey for their season opening game against West Jefferson. It was simply about Hahnville showing it’s still Hahnville.